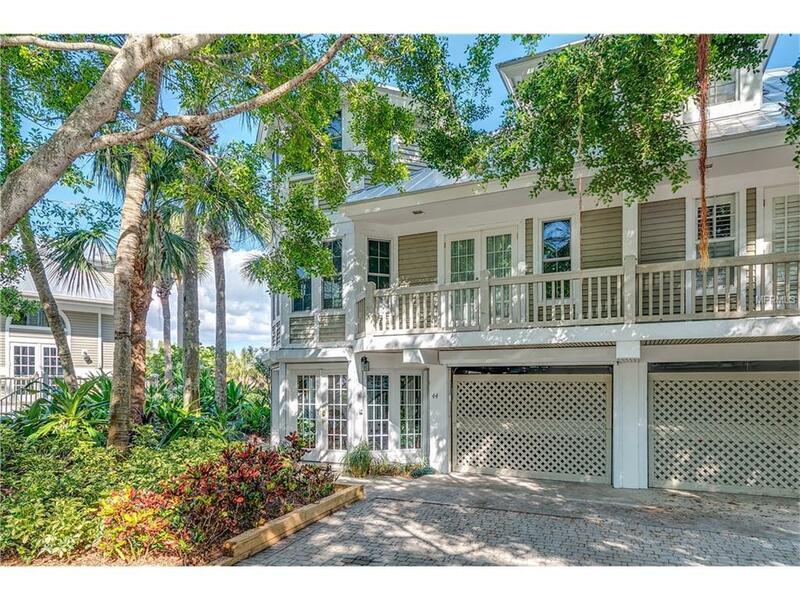 Enjoy panoramic views of Lake Gasparilla and the best beaches on Boca Grande from a completely upgraded Old Florida style Seawatch Lake home. This 2,698 sq. ft. 3 bedroom, 3 1/2 bath villa has it all. The open concept first floor has a new enlarged kitchen with all stainless steel appliances, gas fireplace and a wonderful view of Lake Gasparilla. There is also a guest room with ensuit bath. The upper floor has a large master suite overlooking the lake including an updated bath with open shower and soaking tub. A separate dressing room and walk-in closet complete the suite. There is also a third guest room with wainscot ceiling and updated bath. This beautiful villa is only steps away from a heated pool and 2 tennis courts or a 2 minute golf cart ride to one of Seawatch's 4 private accesses to the beach.